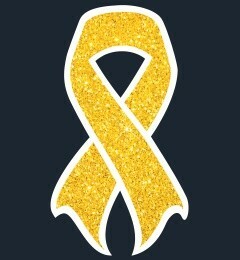 September has been Childhood Cancer Awareness Month, and the gold ribbon is the official symbol of the campaign. There is still time to show your support by wearing a gold ribbon pin or pendant. Show your support whilst driving by putting a gold ribbon magnet on your car. If you are feeling more creative why not wear gold shoelaces! Did you know that more than 30 children are diagnosed with cancer every week in the UK and 1 out of every 5 will not survive. It’s a sobering thought and one that compelled us at The Life Tree to support The Joshua Tree. The Joshua Tree is a Cheshire based children’s cancer charity which supports families across the North West living with childhood cancer. When The Life Tree picture was launched the whole team felt very strongly that they would like to support a charity. We didn’t want to support our chosen charity just with occasional donations, but in a way that ensures that as The Life Tree grows so our charity partner benefits and grows. As The Life Tree is created for children it felt very natural for us to work with a children’s charity. We could not think of a better cause than The Joshua Tree which is a North-West charity and one that is close to our hearts. So for every Life Tree that we sell we give £5 to The Joshua Tree to help make a difference. The Joshua Tree have their own Life Tree that they can use in therapy sessions to help children make sense of their feelings. Find out more about our partnership. September is Childhood Cancer Awareness Month (#CCAM) and we stand alongside the Joshua Tree and other childhood cancer charities in wanting to raise awareness of the cruel indiscrimination of this disease. Every year individuals, businesses and schools get involved in the campaign to help to raise awareness of childhood cancer and leukaemia. Their fund-raising provides money for ground-breaking research so that we can beat childhood cancer sooner. There have been many ways to get involved, from wearing the gold ribbons to joining the awareness poster campaigns, making donations or organising a Be Bold. Go Gold. fundraiser. The charity http://www.childrenwithcancer.org.uk have organised a social media campaign which we love – #OurGoldenMoments. This campaign celebrates positivity and asks families to share their golden moments of their child’s cancer battle. If you want to get involved just use the hashtag #OurGoldenMoments on your social media profile. Back in Cheshire a Mum from one of The Joshua Tree’s families is stepping up to the plate with a 40 mile bike challenge #CCAM – you can do it!